This is a continuation of our ongoing series, PSCI Prep – an ongoing series of blog posts designed to help walk job seekers through the interview process. Part I, How to Ace the Phone Interview, can be found here. Great news, you’ve aced the phone interview and now the company wants to proceed towards the next step – the video interview! Conducting interviews in this fashion has become increasingly popular in today’s landscape which means it’s become imperative to be prepared for such. This blog covers all the video interview bases, from how to prepare your space, to what to wear, and how to present yourself well on video. Choose Your Hardware – From our phones to our tablets and laptops, just about everything nowadays comes equipped with a video camera. That means you’ll have choices when deciding which device to conduct the interview on. Our advice is to select the device that’s most reliable (most often a laptop). If necessary, however, borrow a device from a close friend. Find a Location – The ideal scenario for which to conduct your video interview would be in a secluded area with little distraction. This means you can eliminate any public space – such as a coffee shop. Find a room (private study, home office, conference room, etc.) that’ll provide a clear background – and yes, a blank wall is fine. You want the interviewer focused on you and not on the pictures or posters hanging on your wall. Test, Test, Test – Before any video interview it’s imperative you test just about everything. Test your internet connection. Test your camera (just because it worked a month ago doesn’t mean it still works today). Test your sound. Test your lighting (the interviewer should be able to see your face clearly so make sure lights aren’t casting any shadows on your face). Make sure you have all the proper programs needed for the interview downloaded and be sure you know how to use them. Have a Backup – Murphy’s Law says, “Anything that can go wrong will go wrong.” That’s why you need to have a backup plan. Remember when we suggested you conduct your interview on a laptop? Make sure you have your phone, or other device, handy in the event your laptop’s lithium ion battery explodes. Practice – Much like in preparation for a phone interview, you need to be prepared. Thoroughly research the company and be prepared to talk about your knowledge of them. Prepare responses to expected interview questions and rehearse them with a close friend or relative. Doing so via skype or video call will also prove to be an opportunity to practice both your interviewing skills, as well as the technology you expect to use. Test Again – Are you familiar with the proverb, “Measure twice and cut once?” The same principle applies here. Retest your equipment the day of the interview (preferably at least an hour beforehand) to be sure everything is working properly. Interviews are stressful enough, worrying about whether your equipment will work shouldn’t be factored into the equation. Dress Professionally – Dress the same as you would for an in-person interview. Take a shower, brush your teeth, and comb your hair. When interviewing, you can never go wrong with formal business attire but your level of dress should match that of the industry for which you are interviewing. Eliminate Distractions – If you’ve been following our advice, you’ve already scouted out the perfect area in which to conduct your video interview. Now that it’s game-time, there’s just a few more items to check off your list. Turn off your phone, or place it on silent, and close any other programs which may be open on your device. Just like you need the interviewer focused on you (by eliminating background distractions) your focus should be squarely on the interviewer. Look at the Camera – How often during video calls, with family or friends, do you find yourself staring at yourself? It sounds silly but it happens all the time. You must resist this urge during the video interview, however. While a few quick glances may prove to be harmless your attention should be squarely on the interviewer. Do your best to focus on making eye contact via the camera and speak to the camera not the screen. Frame Yourself – It’s generally recommended that showing yourself from waist or chest up is best for video interviews. So position yourself in such a manner that will accomplish that feat. Also, be sure to have the camera positioned at eye-level, not above or below you. You want to create the impression that you’re sitting directly across the table from your interviewer. 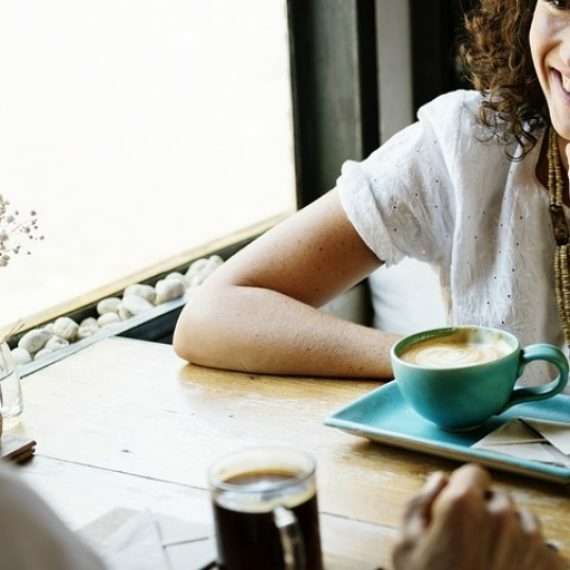 By following the advice listed above, you will surely be putting yourself in the best position to secure the face-to-face interview – if not the job itself! Stay tuned for the next chapter in our ongoing interview prep series, How to Ace the In-Person Interview.